Be the first to hear about their new releases and deals. Download the Booksprout app and search for CJ Marie today! 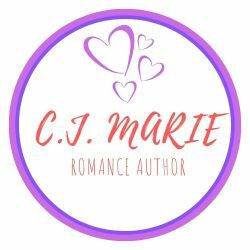 CJ Marie is a USA Today Bestselling author writing contemporary romance that that's sizzling, sweet, and swoony. She lives in a small Utah town with her husband, four little humans, two manic dogs, and one plotting cat. Follow on Amazon for every delicious release, or visit www.cjmarieauthor.com.